Composting tree debris after tree or stump removal is beneficial in many ways. First, the compost can be used to provide plants with the vital nutrients and bacteria that they need to grow and protect them from harm. Compost also helps to conserve water by allowing the soil to hold more moisture. Composting tree debris also prevents the need to dispose of the waste in a landfill. Not only does this help to reduce greenhouse gases, but it also keeps more space available in landfills for other forms of waste. Currently, the EPA estimates that 13.5 percent of municipal solid waste is yard trimmings. Therefore, keeping debris from tree removal and trimmings out of landfills helps to prevent the need to create more. 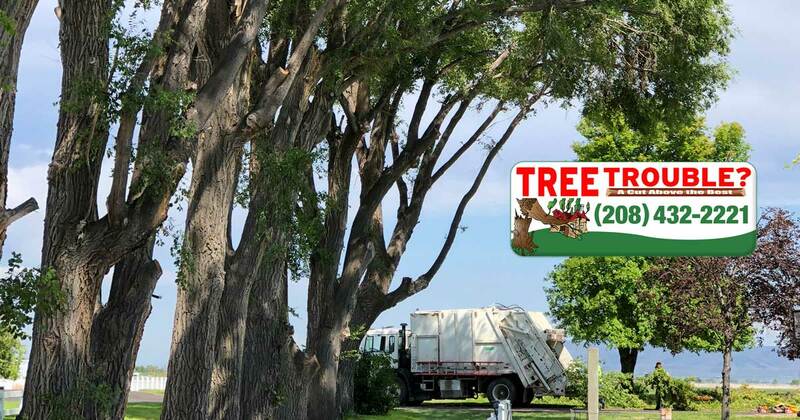 Whether you hire Tree Trouble for our professional tree trimming services or you simply need a place to take your tree debris, we are here to help! Contact us to learn more about our Magic Valley tree trimming services!